Odds are strong that at some point in your life, you’ll need to answer the question of whether or not an estate sale is for you. It might be that a relative passed away in a nursing home, or you could be facing retirement and looking to downsize. Estate sales are all about disposing of belongings you can part with as fast as possible. Estate jewellery, old cars, clothes and more can be sold at auction. Choosing what to sell is always a difficult prospect in these situations, especially with family heirlooms. How can you make the impossible decision of selling vintage engagement rings that once belonged to your grandmother, or great aunt? The solution is to find help! 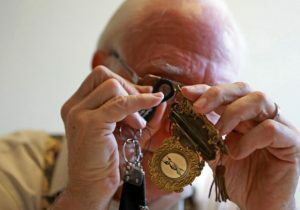 According to Cynthia Findlay Antiques, the role of an appraiser is diverse. He or she should be licensed, and able to tell you the definitive value of something. He or she also plays an important role as steward of the estate, helping you to sell what you don’t need so you can grow what you have. If nothing else, an appraiser can help you determine (in relatively short order) whether you have anything of value. This is a good place to start, since selling off antiques can be a difficult process. Family rifts are common, so an appraiser assigning value can help the family attorney come to an agreement on how to divide possessions equally amongst the heirs. Professionals may also assist in the auction process itself, which helps you liquidate the estate much faster. Art deco rings, for instance, would be difficult to sell on eBay at a decent price because they are hard to verify without seeing them in person.